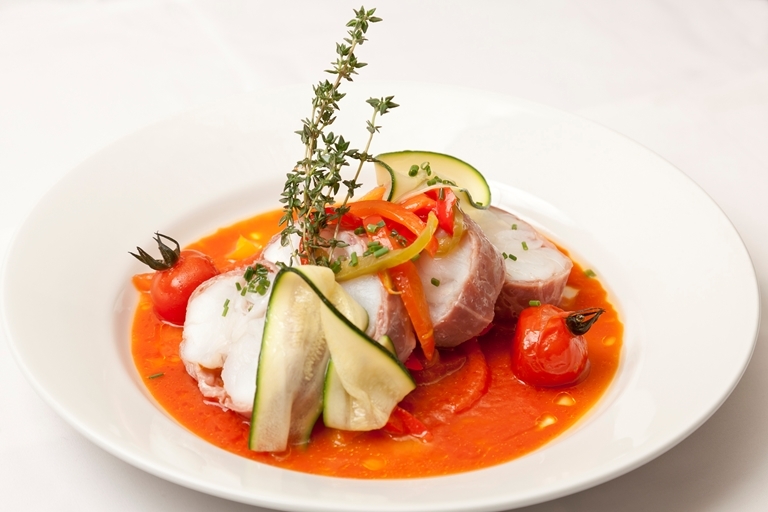 Monkfish tails work particularly well in this simple bake, as the meaty flesh holds together well during cooking. If not available, both gurnard and sea bass would be good substitutes. Andy Waters makes an easy tomato, courgette and pepper sauce, which the fish is then baked in before serving.